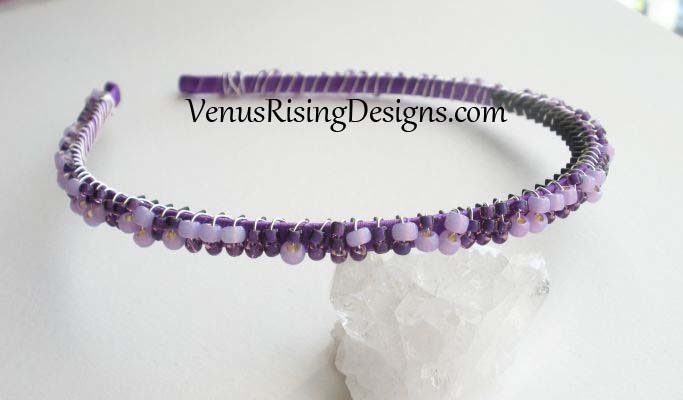 This beaded alice headband has purple and lavender seed beads. The lavender beads are bigger and give an interesting "bumpy" look. I handwrapped the band with silverplated wire. The band is satin-covered for comfort and has rubber teeth for a good grip, and fits both children and adults.